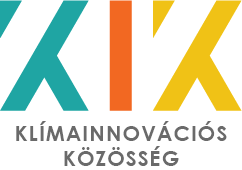 The Accelerator programme of EIT Climate-KIC, started in 2013, is open for young entrepreneurs thinking in sustainable innovative solutions. Világszerte egyre nagyobb teret hódít a fenntartható települések koncepciója. Smart metering startup is looking for an electrical / computer engineer team member. The first DANUBIONET Open Innovation Event gathered 13 experts from 6 countries of the Danube Region, with the aim to jointly elaborate on the approaches to promote the use of sewage sludge based products in agriculture. Last year Climate-KIC launched a new activity: Certified Professional – a certification scheme set to invigorate the European job market! We are currently recruiting assessors for the test phase of Certified Professional in “Promoting Innovation”. Climate-KIC launched a new activity: Certified Professional – a certification scheme set to invigorate the European job market! We are currently recruiting assessors for the pilot phase on “Accelerating Transitions” of Certified Professional. Join the Climate Innovation Community! Climate Innovation will use the information you provide on this form to be in touch with you and to provide updates and marketing. Please tick the square next to the 'E-mail' if you would like to hear from us in the future. You can change your mind at any time by clicking the unsubscribe link in the footer of any email you receive from us, or by contacting us at info@ppis.hu. We will treat your information with respect. For more information about our privacy practices please visit our website. By clickling below, you agree that we may process your information in accordance with these terms. © 2014 - 2018 PANNON Pro Innovations Ltd.